A 1942 portrait of Frank Sinatra. HOBOKEN, N.J. — The sign on the awning says “From Here to Eternity.” The little brick building in Hoboken’s humble West End looks more like an old mortuary than a museum, and perhaps that’s fitting. For a few years, the place was a modest shrine to Frank Sinatra, the homegrown singer and actor whose centennial is in December. He grew up in a tenement building next door, which burned down long ago. That small parcel is now a gravel parking lot used by a handful of Monroe Street residents, framed by a plain brick arch to mark the singer’s birthplace. In the only real bid for posterity on the block, a bronze star was embedded in the sidewalk in 1996, honoring “The Voice,” two years before the death of Francis Albert Sinatra, at 82. The voice is fading from today’s Hoboken, as this historically working-class New Jersey city with a magnificent view of the Manhattan skyline — from the high-rise buildings that wind along Frank Sinatra Drive, near the banks of the Hudson River — continues its brisk march toward gentrification. The locals who knew the teenage Frankie, or his dad, a prizefighter and fireman, or his mother, a ward heeler, have been replaced by subsequent generations of urban professionals who take the PATH train into the city every weekday. But Sinatra still gazes down upon each platter of chicken parm delivered from the kitchen at Leo’s Grandevous. A few blocks from his childhood home, it’s a neighborhood joint where every young man of Sinatra’s generation “had their first beer,” says Sergio De-Nichilo, Leo’s grandnephew. In those days, Leo’s was a corner bar, purchased from a fascist who went back to Italy to support Mussolini, according to the co-proprietor (along with his cousin, Leo’s grandson). Leo’s wife, Tessie, would bring down fresh pizza pies and her famous steamed mussels from the family apartment upstairs. The kids had sock hops in the back. Leo eventually fixed up the back room for more seating and replaced the bar with a new one of his own design, semicircular, with a Formica top. Surrounded these days by Sinatra memorabilia — posters, album covers, a framed gold record for “My Way,” a shot of “the Chairman of the Board” with Muhammad Ali — the jukebox in the corner is a Who’s Who of Italian crooners: Jerry Vale, Vic Damone, Jimmy Roselli. Today the jukebox spins compact discs. Back when the neighborhood was a little rougher, says DeNichilo, thieves once broke in and stole all the Sinatra 45s out of the old machine. 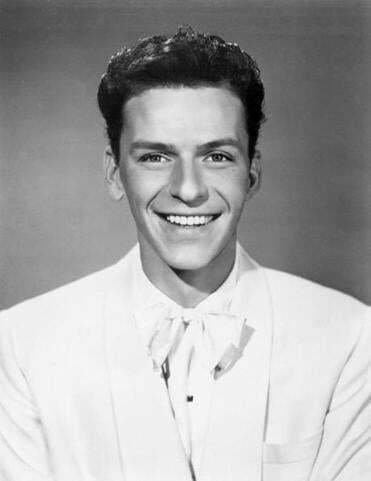 Before the singer moved out on his path to stardom, to the Jersey suburbs and then to Hollywood, the skinny young Sinatra sang in the saloons, social clubs, and ballrooms of old Hoboken. They’re all gone now, the Crystal and Tutty’s and the Cat’s Meow. Marty O’Brien’s Bar & Grill on Bloomfield, just off the main drag of Washington Street, is not the same Marty O’Brien’s once run by Sinatra’s parents. That place was named for his father’s assumed identity in the boxing ring, at a time when Italian-Americans were unwelcome in the Irish gymnasiums. Washington Street — “the avenue” — has been designated a “Great Street” by the American Planning Association. In a town somewhat misleadingly known as “Mile Square City,” the avenue is plenty big enough for dozens of businesses, including the Old German Bakery, the newer La Isla, a Cuban diner that serves up a mean double espresso, and Carlo’s, the bakery featured in the cable show “Cake Boss.” (There’s also a huge Walgreens in an old granite bank building.) A proposed $14 million redesign of the city’s main artery will bring new traffic lights, crossing signals, and bike lanes to a thoroughfare that can still seem frozen in the days of ice wagons and daily milk deliveries. Just off the avenue is the new home of Lepore’s Home Made Chocolates, a family business that sells a Sinatra favorite, chocolate-covered apricots. “He used to get chocolates from us when he was alive,” says the man behind the counter, still lamenting the city’s loss: “Whaddaya gonna do?” A Sinatra figure, produced as part of the Barbie (and Ken) doll line two years after the singer’s death, keeps watch over the shop from a perch in the corner, still in the box. Sinatra’s first break came in 1935, when he was 19, as a member of a singing group called the Hoboken Four. They won first prize on the nationally syndicated “Major Bowes Amateur Hour.” Four years later “Slats,” as he was known to the neighborhood (for his gaunt frame; they also called him “Slacksy O’Brien,” since he always seemed to be wearing new pants) was singing with Tommy Dorsey’s band. Two years after that, he would be at the center of the first real teen-idol craze of the pop era. If most of the old places are gone, the city still leans on its favorite son. The Hoboken Historical Museum, located in a loft-style space in a former Bethlehem Steel machine shop, offers a self-guided Sinatra walking tour. In some ways, the face of Hoboken has changed dramatically since “Ol’ Blue Eyes” was part of it. Then again, you could say it hasn’t changed much at all.